Original Australian Daybill movie poster.Chaplin is a 1992 biographical comedy-drama film about the life of British comedian Charlie Chaplin. 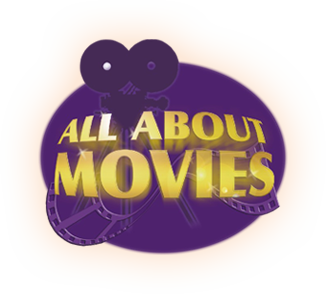 It was produced and directed by Richard Attenborough and stars Robert Downey, Jr., Marisa Tomei, Dan Aykroyd, Penelope Ann Miller, and Kevin Kline. 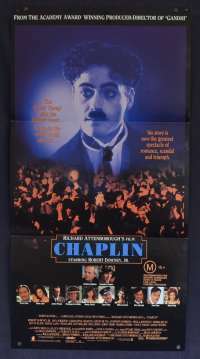 It also features Geraldine Chaplin in the role of her own paternal grandmother, Hannah Chaplin.The film was adapted by William Boyd, Bryan Forbes and William Goldman from the books My Autobiography by Chaplin and Chaplin: His Life and Art by film critic David Robinson. Associate producer Diana Hawkins got a story credit. The original music score was composed by John Barry. Pin Holes: Top two corners only.Once matted and framed, these would not be seen.